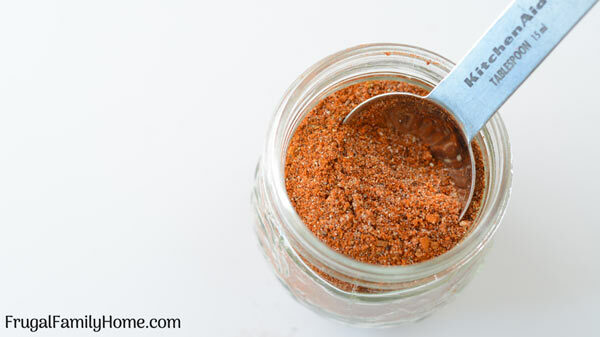 You could buy those tiny packets of taco seasoning but with this easy homemade taco seasoning recipe you won’t have to. Plus, no flour in this recipe so it’s gluten-free and keto friendly too. It’s the perfect combination of spices to flavor your tacos, try it and see if you’ll ever go back to the store-bought packets again. Taco seasoning packets are so easy to use. All you need to do is rip open the package and sprinkle them. But have your read the ingredients? Why in the world do they put flour or cornstarch in them? Is it to make it look like you are getting more for your money? And the additives like anti-caking agents and sometimes even sugar. It seems like odd ingredients to add to a spice mix that could be made with well, spices. And that’s what this taco seasoning from scratch recipe is just spices and that’s it. No added flour or cornstarch. No additives you don’t need. Just spices to make the ground beef or turkey or even tofu taste great in your tacos. And that’s what you’re looking for right?! 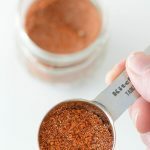 Once you see just how super simple this homemade taco seasoning is to make, you’ll never need to buy those seasoning packets again, unless you want to. Plus, you’ll know exactly what’s in your taco seasoning from scratch because you made it yourself. And you can adjust the spice to fit your family perfectly. More on that below. If you have a small jar with a lid, you don’t even have to have a spoon. Here’s how easy it is to make…. 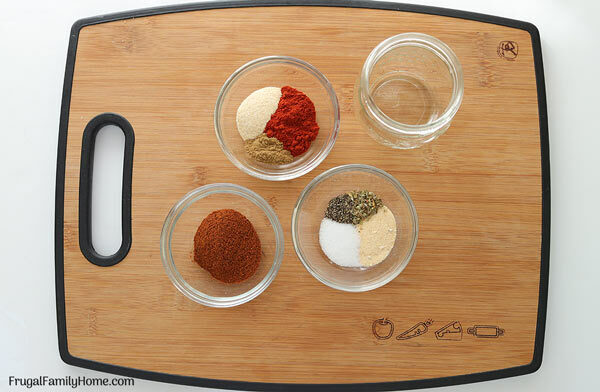 What’s great about making your own seasoning mixes is you can customize them to fit your family. 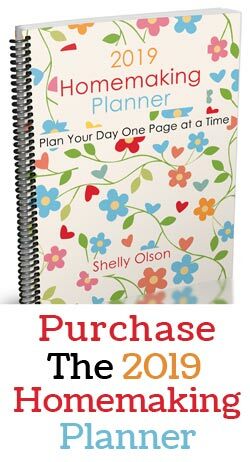 To get you started here are a few ideas and how to save money when making them too. You can use regular paprika which I love. But I recently tried a smoked paprika in this recipe and it will add a slight hint of smokey flavor. It was so good, made the tacos taste like they were grilled. Yum! If you like spicy tacos you can use hot chili powder instead of regular chili powder. I’m a wimp with spicy foods but maybe you like to really spice up your tacos. This would be a good variation to try if that suits you. My son can spot onions easily in dishes so we opt to use onion powder. But if you don’t have a picky onion person, you might like to use dried diced onions instead. Now you might think those spice packages aren’t that expensive and buying spices in those bottles will cost me a fortune. Well, that might be right. But when you purchase spices in the bulk, you can really save. Locally here we have three options for buying spices in bulk. Our WinCo Foods stores have bulk spices in the bulk food section. We also have other stores with bulk spices like Fred Meyer a Kroger affiliate and Whole Food has a bulk food section too. If you don’t have any of those stores near you, try looking for large bottles of spices at Costco or a local restaurant supply store. Both have good prices on spices over the small bottles at the grocery store. Doing a little research can help you save not only on this recipe but on spices you use every day. 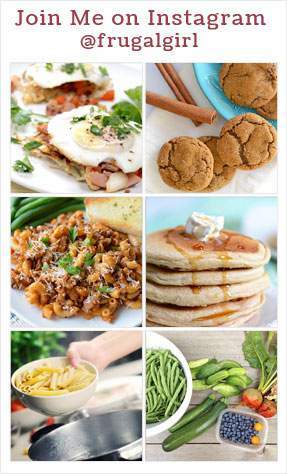 Grab the printable recipe below. It’s enough for one pound of meat but you can double or triple it if you want to have it ready and waiting in the cupboard. 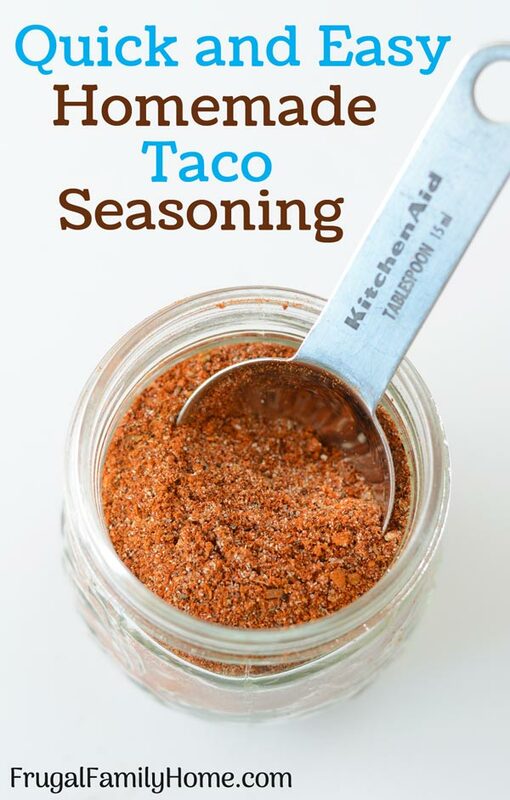 Why buy those small packages of taco seasoning when it’s so easy to make at home. And this recipe doesn’t have any cornstarch or flour so it’s low carb, gluten-free, and keto friendly too. Measure the spices into a small jar with a lid. Once all spices are added, shake well. Use 1-2 Tablespoons for 1 pound of meat. Enough for 1 batch double or triple for extra to store. 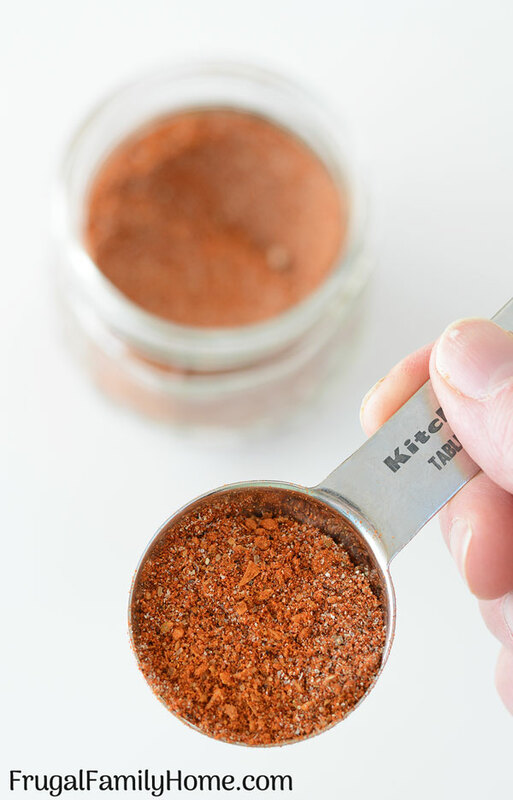 That’s how simple and easy it is to make your own homemade taco seasoning recipe, so you’ll never have to buy those tiny overprice packets of spice again. And if you need to eat gluten-free or keto, this recipe is friendly for both. Print the recipe or pin it for later so you can find it when you need to make your own taco seasoning at home.